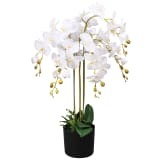 If you want to add a little greenery to your décor, but simply do not have the time to water and look after plants in your home, artificial plants are an inspired solution. 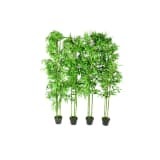 Plants can give your interior a vibrant and fresh new look, and nowadays, these items look just like the real thing! 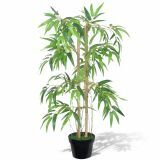 Here at vidaXL, we offer a fantastic range of beautiful, colorful and realistic plastic plants, that will be sure to brighten up any space! 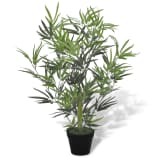 Here at vidaXL, we have a few handy tips for you when you are shopping for an artificial plant. The first is to consider the look of the item. An empty plant with a few leaves will look less life like than a full one. 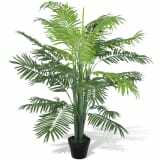 When it comes to colors, a plastic plant with leaves in different shades of green could really look the part. 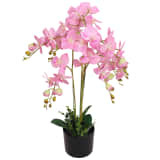 It is also advisable to keep the color variants in mind when you are thinking about plants with flowers. Maybe you want the colors of the flowers to match your décor? 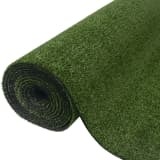 Lastly, the material is also a key point to consider, as it has a huge effect on the artificial plant’s appearance. When you get back from that amazing summer vacation each year, do you really miss the palm trees? 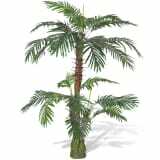 Bring this tropical feeling into your home with a beautiful artificial palm tree from vidaXL. 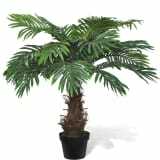 These trees sport full, luscious leaves that make them look and feel very realistic. They are 80cm tall, so will be a welcome addition to any room! 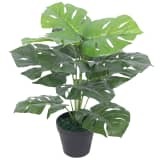 Of course, you do not need to water fake plants, but they do need a clean every now and then. You can easily wipe off the dust with a dry cloth, and before you know it, the leaves are shiny green again and life is fabulous!